Ernie Fire Engine Wow Preschool Toddler Toy. Ernie Fire Engine - Friction-powered fire truck. Fire! Fire! 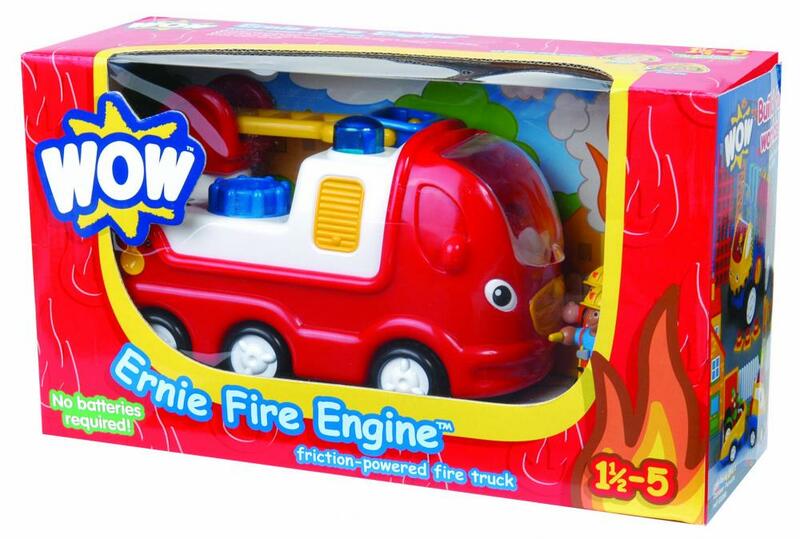 Here comes Ernie to the rescue with his powerful friction motor & crew of fire-fighters. 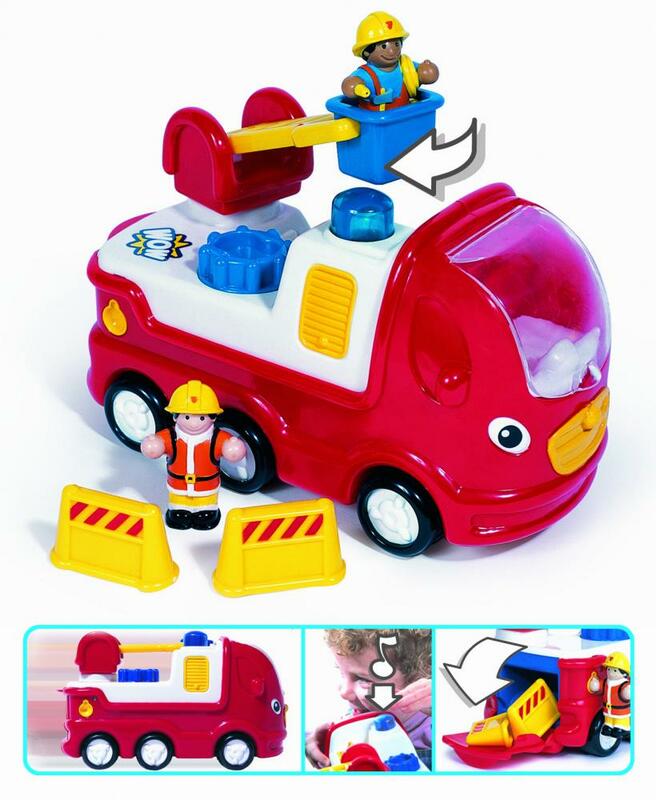 Ring his push-button bell & watch his revolving light before using his click-&-turn ladder to fight any imaginary blaze. The fire fighter’s hand opens the backdoor to reveal two emergency barriers. 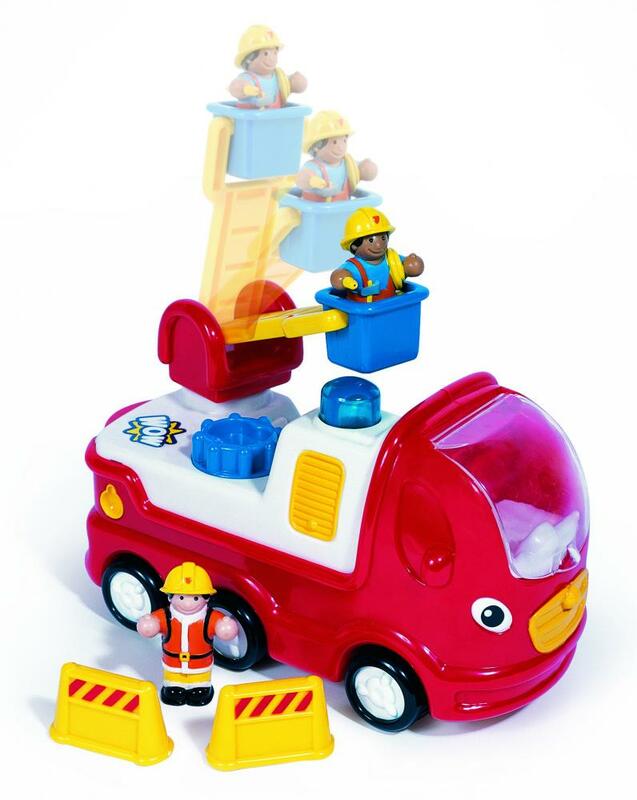 Age: 1½ - 5 Dims: 325x185x11The Wow range of toddler toys combine developmental and imaginative play with durability great features and best of NO BATTERIES REQUIRED. All these toddler toys are friction-powered and have magnetic clicking and or other features.